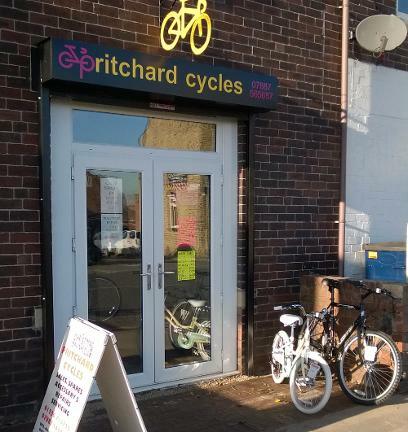 Hi and welcome to C I Pritchard Cycles. My shop is open for business in Cudworth, Barnsley. It is completely independent offering a professional and personal service. "The Little Bike Shop that outshines the big ones"
Please Note the shop will be closed until further notice. Sorry for any inconvenience Chris. Mountain - Racing - Hybrid - BMX - Kids. I also stock spares and accessories and perform repairs/ servicing on all of the above bikes. 2017 Bikes now in stock, Probike, Python, Barracuda, Tiger. I can supply any model from these websites please give me a call for the best current price. Its also worth keeping in mind, when you buy a Bike off me I fully assemble and set it up personally, unlike internet company's where the bike comes in a box not fully assembled. I also give a 12 months guarantee. All of my stock is very competitively priced. You can find my full range of items on my suppliers website at www.todayscyclist.co.uk When you have found what you are looking for, give me a call and I will give you the best price I can. If you don't find what you are looking for on the site, please don't hesitate to get in touch and I will do my best to get it for you within 24 hours.